Over the past two decades, Inner Mongolia has experienced fast economic growth and rapid industrialization. However, accompanying such rapid growth, environmental pollution started to pose a serious threat to the everyday life of the herdsmen. In some regions, highly polluting industries permanently damage the grasslands and massively threaten the herdsmen’s health and their livestock. In order to protect the grasslands, a range of collective activities have been undertaken by grassroots groups, made up of herdsmen and local village cadres as well as intellectuals, students, educated youth[i], and lawyers countrywide. Under the policy of “attracting external capital and developing local industries”, a highly polluting paper mill was invited by the Xilingol city government to set up a factory in Eastern Ujimchin county in 2000. Soon after its establishment, with the local government’s support but without the permission of the landowners, the paper mill occupied a large patch of grassland to build a wastewater pit. A few months later the waste water overflowed from the pit into areas which constituted seven herdsmen’s grasslands, and contaminated their grass and underground water. As a result, livestock on the ground were poisoned and large numbers died. The surrounding environment was devastated further by highly polluted air and local herdsmen started to show symptoms of dizziness and nausea[ii]. This tragedy appeared to be caused by the paper mill, but the ultimate culprit is the local government, who is playing a crucial role in the whole process. First of all, the Eastern Ujimchin government invited the paper mill to the region and allow it to set up the highly polluting factory on local herdsmen’s grassland; second, the local government obstructed the activities of herdsmen when they demanded their rights, even changing the legal document of land-use rights in order to protect the paper mill. In 2000, when the local government invited the paper mill to operate in its territory, it promised to provide enough land for discharging the factory wastewater. To fulfill the commitment, the government provided local herdsmen’s grassland without the owners’ consent. Later, when the herdsmen organized a petition on this case to a higher level of government in order to protect their rights, the local government warned them not to pursue their complaint because the paper mill made a great contribution to the local economy. In the end, the herdsmen sued the paper mill. Standing on the side of the paper mill against the local herdsmen, the local government illegally changed the land ownership title of the herdsmen’s grassland from collective-owned to state-owned. It subsequently claimed that the grassland used and polluted by the mill was state-owned land, and the local herdsmen were not entitled to its use. 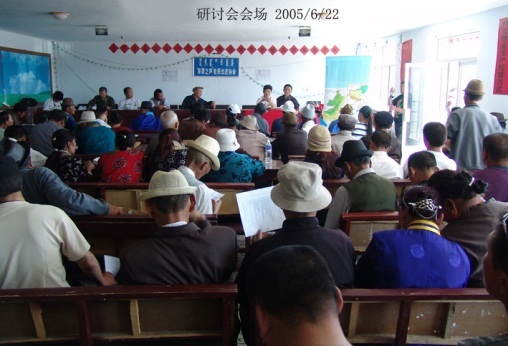 Although Eastern Ujimchin County has an environment protection bureau, this formal system fails to meet its obligation due to county government intervention. The lax enforcement is not a phenomenon unique to Eastern Ujimchin, but essentially observed everywhere in China. This is a structural defect of the current Chinese formal environmental protection system. From the late 1970s, China has built up a central-to-local environmental protection system after decades of development. As shown in Figure 1, China’s formal environmental protection system mainly consists of the State Ministry of Environmental Protection (Central level) and local environmental protection departments, which include various administrative levels from the provincial level down to the county level. However, the government’s environmental protection agencies encounter many difficulties, some of which originate from structural defects. A group of scholars have noted that appointment and promotion of personnel, wages, and social welfare of local environmental protection bureau are all vested under the jurisdiction of local government. Hence, terms like ‘scarecrows[iii]’ and ‘dilemma[iv]’ are used to describe the role played by local environmental protection bureaus. Therefore, it is very difficult for the local environmental protection department to check and oppose highly polluting industrial development projects welcomed and supported by the local government. In some regions, the environmental protection bureaus take the initiative to protect highly polluting enterprises and factories in order to help local government raise local GDP. Along with environmental degradation in Inner Mongolia in the late 1990s, grassroots environmental protection activities have gradually emerged and developed. Among various activities, an informal environmental grassroots network was formed. It expanded slowly to fight against industrial pollution on the grasslands and to protect herdsmen’s rights on their own land. This is an open network which involves people from different walks of life, such as local herdsmen, educated youth from Beijing, young ethnic Mongolians living in cities, professors, people from environmental NGOs and public interest law firms. The network plays an important role in linking environmental activities in diverse forms and various locations. In the early years, the anti-pollution activities were mainly organized by the direct victims of the highly polluting paper mill in Eastern Ujimchin. These victim herdsmen tried to stop the paper mill from polluting their land and to request compensation for their losses through administrative channels and legal means, such as petitions and lawsuits. A few years later, with an increasing environmental consciousness and awareness of their own property rights, the local herdsman started to form local eNGOs (environmental NGOs) and encourage fellow herdsmen to participate their activities. In 2000, soon after the paper mill in Eastern Ujimchin started to discharge wastewater to herdsmen’s grassland, the victims in Jergleng village embarked on their protest. They wrote a petition letter which was then handed to many government offices over the following one-and-a-half years. The petitioned offices included Eastern Ujimchin’s local government, Inner Mongolia Autonomous Region’s government, the petition office of People’s Congress and the Environmental Protection Department, but none of these offices solved the pollution problem. When the realization was reached that petitions could not help to stop the pollution, the herdsmen changed their strategy. In 2000, a herdsman named Damrinzave and a few other direct victims sued the paper mill and the Eastern Ujimchin local government for damage compensation. After years of tedious process, herdsman won a partial victory in the case. Finally, the high polluting paper mill was moved out of Eastren Ujimchin in 2005[v]. In the same year, Eastern Ujimchin’s herdsman established their own organization for environmental protection, an eNGO called “Voice of the Grasslands”. The NGO organized workshops to educate fellow herdsmen through the case of the paper mill lawsuit and to improve local herdsmen’s ability to protect their own rights and preserve the grassland. The situation of industrial pollution in the grasslands and the plight of local herdsmen have caught the attention and sympathy of the educated youth, who were city dwellers, but sent to live in Eastern Ujimchin during the culture revolution between 1960s and 1970s. Most of them were from Beijing and therefore returned to Beijing after the Cultural Revolution. When they saw the beautiful grassland where they lived being polluted, and their old friends and local herdsmen suffering in these changes, many educated youth stood up and actively involved themselves in the grassland protection activities. One of them is Chen Jiqun who is an artist living in Beijing. Over ten years, he travelled multiple times between Beijing and Eastern Ujimchin to engage in a range of activities to help the victim herdsmen to win their case. For instance, he created and operated the website ‘Echoing Steppe’, to release information on the situation of industrial pollution in Eastern Ujimchin through photos and videos. Through the website, he also reports the actual functioning of surveillance on environment issues by Eastern Ujimchin government. In addition, he provides herdsman with legal assistance and helps them to conduct independent investigations. For instance, Chen Jiqun offers to help herdsman contact lawyers, organize the translation of law books from Chinese to Mongolian, and distribute these books among local herdsmen. Meanwhile, he has facilitated the collaboration between scholars from Beijing, Outer Mongolia and Korea, as well as Eastern Ujimchin local herdsmen to conduct independent investigations on industrial pollution and desertification of the grassland[vii]. Inspired by Chen Jiqun and other educated youth’s environmental activities, a group of young Mongolian people living in Beijing have come together and participated in environmental activities. Many of them came to know each other through the website of Guxiang (hometown) and started to participate in Chen Jiqun’s environmental activities from 2003. A year later, they established an environmental protection organization called ‘Friends of the Grasslands’ to protect grassland against desertification. Most of the members of the organization came from Inner Mongolia, and are fluent in both Mongolia and Chinese, and their parents and relatives are still living in the grasslands. Owing to their advantages of knowing the local language and having local networks, they can easily pass on legal knowledge and environmental protection information to herdsmen and help herdsmen to protect the grasslands and their rights. These young people donated money and provided manpower to help Echoing Steppe to print the law handbooks and distribute them among local herdsmen. Also with the help of these young associates, an environmental information centre was formed alongside the local herdsmen’s own environmental protection association[ix]. 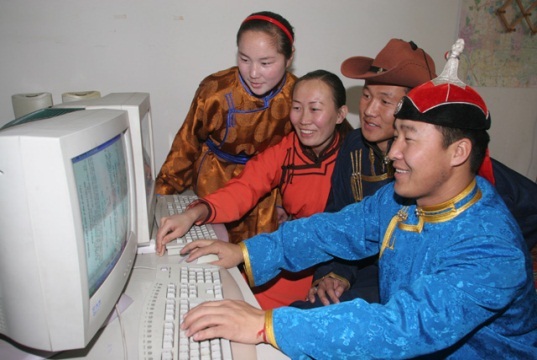 [i] During the culture revolution many educated young people left the cities such as Beijing and Shanghai, went to remote areas like Inner Mongolia and Tibet. Those young people were termed as Educated Youth in Chinese Zhishi qingnian or Zhiqing. [ii] Damulinzhabu, Manglai, Bate-er yu dong wuzhumuqinqi dianhua jiangbanchang (Damulinzhabu, Manglai, Bateer and EastrenUjimchin DianHua paper mill) cited on: http://www.lawyee.org/Case/Case_Display.asp?ChannelID=2010100&RID=108114&keyword= (in Chinese), accessed by 20, January, 2014. [iii] Ma Chuansong, 2007, Kunjing yu chulu: dui woguo huanjing baohu zhong “daocaoren xianxiang” de shehuixue toushi”( Problems and Solutions: Sociological perspective on “Scarecrow phenomenon” in environmental protection in China), Sichuan Environment Vo.26. 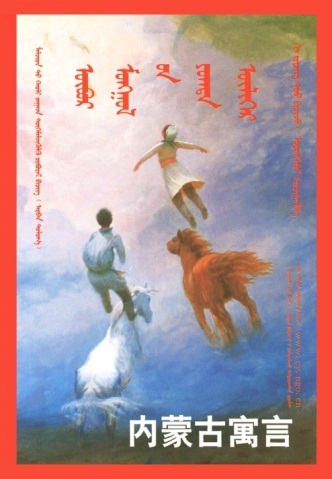 [v] Chen Jiqun and Li junhui, 2006, Nei-menggu dongwuqi zaozhichang qinquan wuran an (Violating Lawful Rights and Causing Pollution by a Paper Mill in Dongwu County in Inner Mongolia), cited on http://www.chinacitywater.org/bands/books/2005zg.pdf, accessed by 20 January 2014. 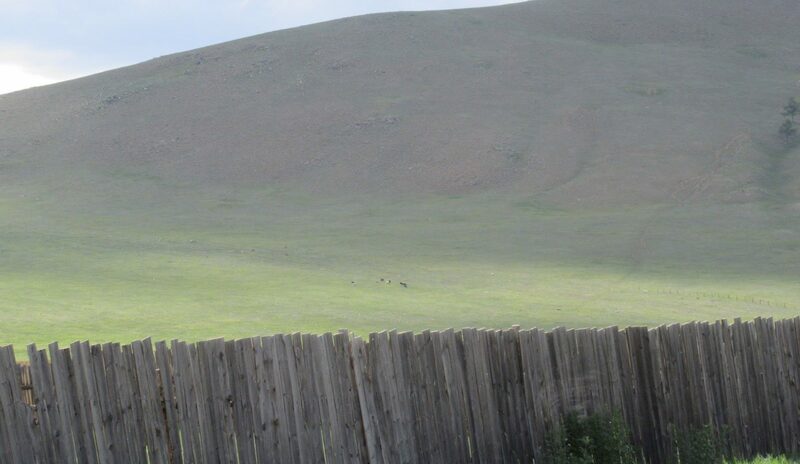 [vi] The photo is from Echoing Steppe, http://163art.com/, accessed by 20 January 2014. [vii] The sources are from Echoing Steppe, http://163art.com/, accessed by 20 January 2014. [viii] The photo is from Echoing Steppe, http://163art.com/, accessed by 20 January 2014. [ix] Talinhan (cao yuan zhi you)-baohu caoyuan lianhe xiangmu gongzuo weiyuanhui jianjie (A brief introduction of the Friends of Grassland-protecting grassland joint work committee), cited on http://blog.sina.com.cn/s/blog_5b6dfc120100ar1s.html, accessed by 19 January 2014. [x] Cited on http://www.mzzjw.cn/zgmzb/html/2008-11/07/content_57140.htm, accessed by 19 January 2014.